When Is Royal National Agricultural Show Day Queensland 2019 in Queensland? The Royal National Agricultural (RNA) Show Day, commonly called the Ekka, is held in Brisbane, Queensland's capital. It is usually held on the second or third Wednesday of August. Please see the table below for dates. Is Royal National Agricultural Show Day Queensland a Public Holiday? Royal National Agricultural Show Day Queensland is a public holiday in Queensland, where it is a day off for the general population, and schools and most businesses are closed. 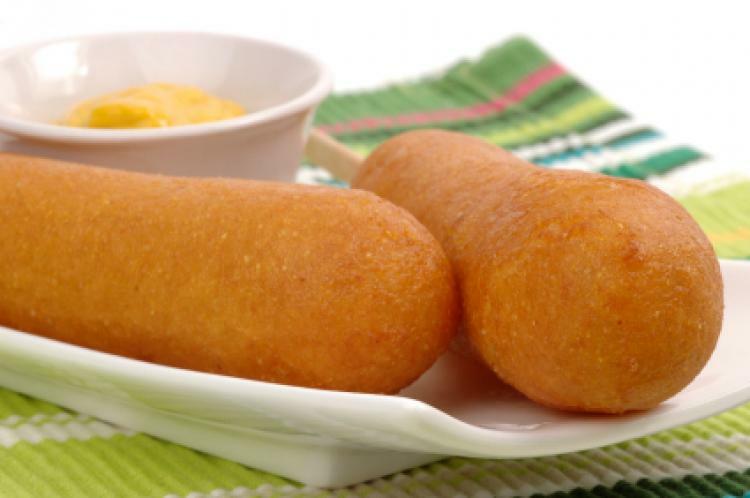 Dagwood dogs, which are similar to corn dogs, are a popular treat during the Ekka holiday. The holiday mainly affects people living in the Brisbane area, although other regions throughout the state have a similar holiday to the Ekka holiday for their local shows. This holiday is also known as the Royal Queensland Show holiday, the Exhibition holiday, or the Ekka holiday. Some people choose to spend the day relaxing at home, catching up with friends and family, or going to the movies. However, many people throughout the state of Queensland, Australia, flock to the state’s capital city of Brisbane on this holiday to participate in the RNA show. Although only one day is allocated as a public holiday for the show, the event spans for more than a week, attracting more than 600,000 visitors, including tourists and people from other towns and cities in Australia and worldwide. Many people traveling from rural or regional areas of Queensland take a day off work or take their annual holiday leave for this occasion. The RNA show, commonly known as the Ekka, features fireworks displays, a large sideshow alley with various games and amusement park rides, fashion parades, prize-winning animals, crafts, and food. Other attractions include the show bag pavilion, where many show bags are sold featuring candy, toys, gadgets, food, and magazines. Another highlight of the event is the grand parade. Many towns, cities, and shires throughout the rest of Queensland are allocated a holiday similar to the Ekka holiday to host their own local shows, which mirror the Ekka at a smaller scale, at different times of the year. The culmination of these shows is that many of the local show winners in various competitions compete at a state level at the Ekka. Statewide competitions at the Ekka include those for cattle breeds, show dogs, horses, sheep, and sheepdogs. The winners of their regional or local shows usually travel to Brisbane to compete in the Ekka show. The RNA Show Day is a public holiday in the Brisbane area only. However, many regions in southeast Queensland have a day off for their local shows in the same week to coincide with the RNA Show Day. Schools are closed as are many businesses. Many businesses, as well as state and local government employees in the Brisbane region, have a day off. Extra public transport services, which include bus and train services, are offered to those traveling to and from the show on the day. Taxis may be busy, particularly in the evening when people travel home from the Ekka. The history of the show day started when a group of colonists met in Brisbane to form an agricultural and industrial association in 1875. The association aimed to promote and encourage Queensland’s agricultural and industrial development, as well as giving country and urban residents a chance to celebrate Queensland lifestyle. An intercolonial exhibition was held from August 22-26, 1876, and proved to be a big success. A public holiday was declared and about 17,000 people attended the show on the opening day. At the time, Brisbane’s population was only about 22,000 people. The first “Royal” Show was held in 1921 and later on, the name of the show was shortened to “Ekka” indicating people’s affection for the show. The Ekka has been held annually, with only two exceptions: when Brisbane suffered a Spanish influenza epidemic in 1919; and during World War II in 1942 when the show grounds were used as a staging depot for troops. Over the years, other regions in Queensland adopted their own annual show holidays, especially in southeast Queensland where the show holidays have been held in the same week as the Ekka holiday. Images associated with the Ekka show holiday feature: show bags filled with candy, especially the Bertie Beetle show bag, which has been an all-time favorite over the decades; fireworks displays; Dagwood dogs, a type of food similar to corn dogs; the sideshow alley; and the Ferris wheel.